A dazzling .64 carat, G color, Si1 clarity diamond is set above a band of spinning cutwork figures on this antique style engagement ring. 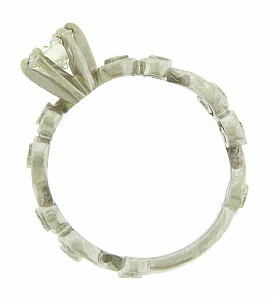 Each curling figure is set with a single fine faceted diamond. 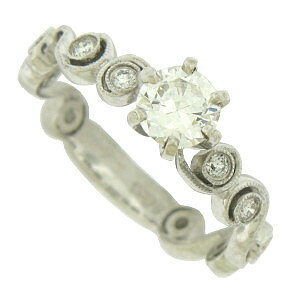 The ring is fashioned of 14K white gold and measures 8.38 mm in width. Size 7 3/4. We can re-size.